Do you think dieting means that you should avoid overeating? You're wrong. There is a negative calorie diet that is based on the idea that the more food you eat, the more weight you will lose. If you do a quick search on the internet about "negative calories" you will probably come to the conclusion that we have finally found the solution for effortless, quick and easy weight loss. You can now forget the gym and stop counting calories. Weight loss can be achieved simply by eating foods such as cucumber, cauliflower, pineapple, berries and apricots, in specific quantities. It sounds pretty good. In fact, it sounds too good. According to this theory, certain foods when digested, force the body to expend more energy than the energy they contain. This means that the body burns more calories to process these foods, thus creating a calorie deficit, which forces the body to mobilize the deposits of fat in order to cover the deficit. 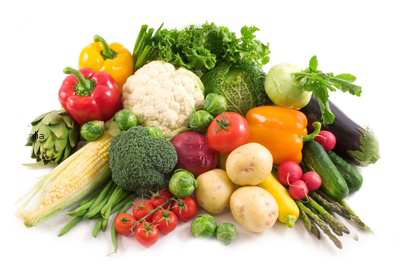 Some of these “miracle” foods are vegetables such as cucumbers, artichokes, wild amaranth, carrots, zucchini, cauliflower, onions, cabbage, broccoli, beets, peppers, leeks, radish, mushrooms, lettuce, celery and spinach, fruits such as kiwi, pineapple, apricots, cherries, lemon, mangos, berries, apples, cantaloupe and oranges, herbs such as dill, basil, cloves, rosemary and mint and drinks such as coffee, verbena, mint tea and sage. The problem with this theory is that there is absolutely no scientific evidence that foods with negative calories even exist, let alone that they can help us lose weight fast and easily. If these negative calorie foods existed, then 90% of vegetarians would be on the verge of anorexia and herbivorous animals like cows would shrink to death. Surely we burn energy when we eat (it’s called the thermic effect of food), but the energy expended never exceeds the number of calories contained inside the food. It is estimated that during the day, 10% of our total energy consumption is used for the assimilation of nutrients. So, don’t believe that by eating a food that contains for example 100 calories you will ever burn 150 calories. Burning fat and reducing your weight requires dedication, time and sometimes sacrifices. There is no magic way to get rid of extra pounds. Daily exercise and/or a low calorie diet were and still are the keys to weight loss. Nevertheless, if you want to somehow benefit from this crazy negative calorie diet idea, you can keep in mind that the majority of “negative calorie foods” are quite beneficial for your body and can be part of a balanced diet. Fruits and vegetables are rich in fiber, antioxidants and vitamins, which help digestion and protect the body against free radicals. What is more, herbs, spices and beverages such as green tea seem to boost the metabolism slightly and thus aid weight loss.